Hey, powerful men across this great land, listen up. 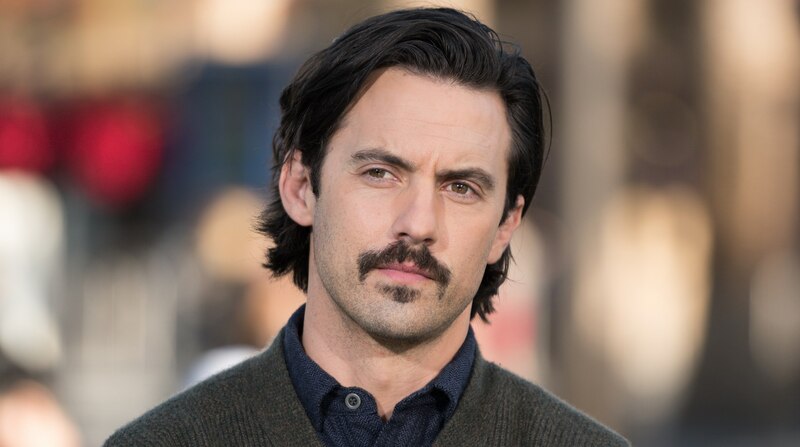 Milo Ventimiglia is going to take you out to the woodshed. Don’t worry; it’s nothing sinister. It’s just time that he sat you all down and had an honest conversation with you about how you should behave. If you think you’ve been behaving problematically, well then, take special care and listen closely. Or if you’ve been on your best behavior, then just tuck this away for future use and know that Ventimiglia is on your side. In a recent HuffPost interview, Ventimiglia sat down to discuss a number of topics, predominantly around the hit show he stars in, This Is Us. But the interview seems to have offered an occasion to bring together both the show and real life, because at one point, Ventimiglia begins to discuss how he relates to the pressure Kevin, his TV son, faces to remain a good role model while living in the celebrity spotlight. “I’m in those shoes at times too, where people applaud you and herald you and you could probably get away with the worst behavior ? yet they’ll still hold you up high. It’s kind of a terrifying prospect,” he told the outlet. It’s not entirely unthinkable Ventimiglia can relate to this pressure he’s talking about. Starring in Gilmore Girls and basically being our early ’00s heartthrob of choice means there’s a lot of undue focus on his behavior and possible conflation with the characters he plays. Following this, Ventimiglia’s advice for how to power through and remain true to yourself while also keeping your nose clean (are you listening, men of the world?) becomes incredibly Jack Pearson-esque, and honestly, it kinda makes me love him all the more for it. “I think that if you embrace those bad things in life, then you’re going to turn into the bad examples some of us have seen quite recently. But if you keep on the good path and just be a good person in a position of influence, well, then you’re going to represent a better way to be and a better human being and hopefully, that’s what we can inspire: goodness and kindness toward everyone,” he concludes. “Goodness and kindness toward everyone” is definitely something we can all take away from this insightful interview, but it’s Ventimiglia’s advice to those in positions of influence — not to abuse their power, to stay on a good path and so forth — that, hopefully, lodges itself in the brains of everyone, and men especially. In a time when we are dealing with the fallout in various industries related to revelations of long patterns of sexual assault and harassment (frequently committed by men against women), the conversation about how to change the culture for the better has come into play. Ventimiglia’s words, however paternal they may sound, are definitely a productive way to change the culture. So, let’s maybe take heed, OK?